Say Hello to Jan from Janeli Quiltworks! Hi there fellow Thread Heads! Anyone who has been reading our blog or social media posts, knows that I have a real soft spot for quilting. I absolutely *love* patchwork quilting and quilting fabric. One of the really great things about running an online fabric shop that caters to quilters is getting the chance to meet so many like-minded people from all over the UK and even some from other parts of our lovely world. So when we first met Jan a few months ago, we knew she definitely was a fellow Thread Head who loved all things quilty! Jan is one of those beautiful brave souls who has taken the plunge and decided to start her own business selling her creations. We have many customers who sell their work in their own shops, in e-ehops and on sites such as Etsy and Folksy. These are small business people who have decided that their passion for creativity was worth the endless hard work that comes along with running a small business. Often the people we meet through Thread Heads are sole traders, which usually means everything is down to one person to make their business fly – creating the products, marketing the items, doing the books and accounting, packing and posting items, maintaining a website, photography etc., etc. – it can be exhausting. But it is also one of the most rewarding adventures you can take. So let’s get to know lovely Kent-based Jan who runs her own online shop, Janeli Quiltworks as well as an established Etsy shop. She creates gorgeous cushions, quilts, homewares, bags and children’s items perfect for gift-giving or for when you are looking for something of handmade beauty for yourself! Jan even offers custom orders for those looking for something very specific to match a certain decor. 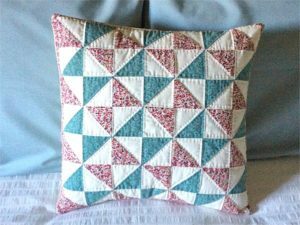 We wanted to learn how she first began quilting and some of her fave quilting styles and fabrics. What got you started with quilting? I have always loved sewing – even as a child. I was always making something for Sindy or my brother’s Action Man to wear! When I was about 10 years old an aunt introduced me to English Paper Piecing. I think I just about managed to complete a small quilt for my doll’s pram – although my vision of making a quilt to fit my bed didn’t quite come to fruition! However, my sewing machine was never far from me and I was often making something to wear. Career and family took over and sewing took a back seat. However, about four years ago it seemed like a good time to take a break from the craziness of juggling too many things. 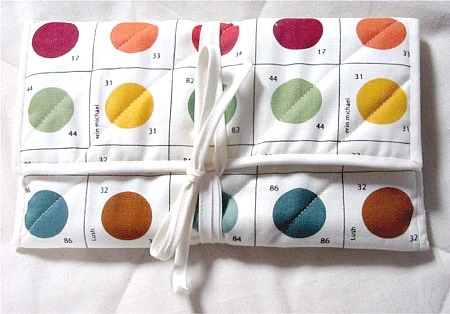 That was my chance to rediscover sewing – and particularly patchwork and quilting. My difficulty now is that there are so many quilts I want to make, there aren’t enough hours in the day! I take photographs of buildings with interesting shapes, patterns and colours that I want to turn into quilts … one day. 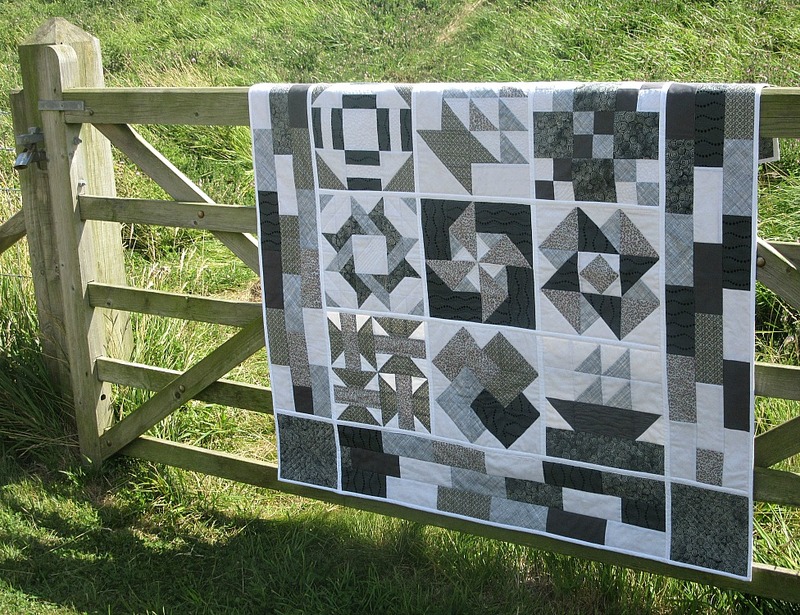 Do you have a favourite quilting style or block? I think my heart really lies with pieced quilts rather than appliquéd or whole cloth quilts. Recently I have been making single colour quilts using the quilt-as-you-go method, with lots of free motion patterns. It has been great fun! Do you have a favourite manufacturer or design you like to use? I don’t think I have favourite manufacturer as such but I do have colours that I am drawn to – blues and greys are my favourites at the moment. A friend’s daughter is studying art at university and I love the amazing fabrics she is currently designing and printing. Simple but striking, using some beautiful muted colours. I can’t wait to use some of her fabrics for a very special quilt. Her name is India Johnson and her designs are at IndiaJohnsonART on Etsy and Facebook. I love them all!! Thanks for having a read and hopefully Jan’s story may inspire you to have a go at selling your own creations! We want to say congrats to Debbie in Lincolnshire who won our newsletter subscribers birthday bash sewing bundle giveaway! She chose the craft option and should be well on her way to creating lovely Noodlehead totes and some Oh Sew Bootiful embroidery hoop wall art! Sign up for our newsletter to get all the scoop on exclusive sales, giveaways, how-to’s and customer pic shares! 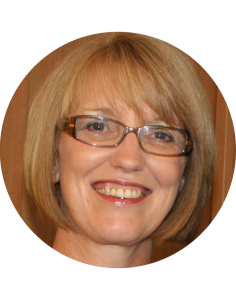 This entry was posted in Introductions and tagged quilting, small business, women in business.